Christmas by candlelight is the perfect way to delight in the warmth and joy of the season. 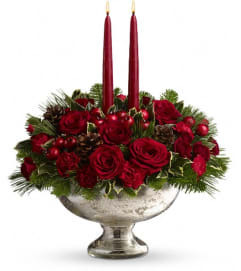 This elegant arrangement will be at home anywhere in the house, adding grace and beauty to any holiday celebration. 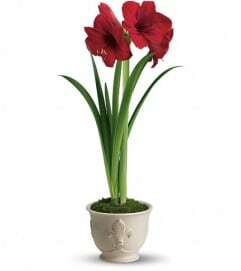 Ruby red amaryllis, roses and spray roses are perfectly arranged with golden pinecones and holiday greenery. 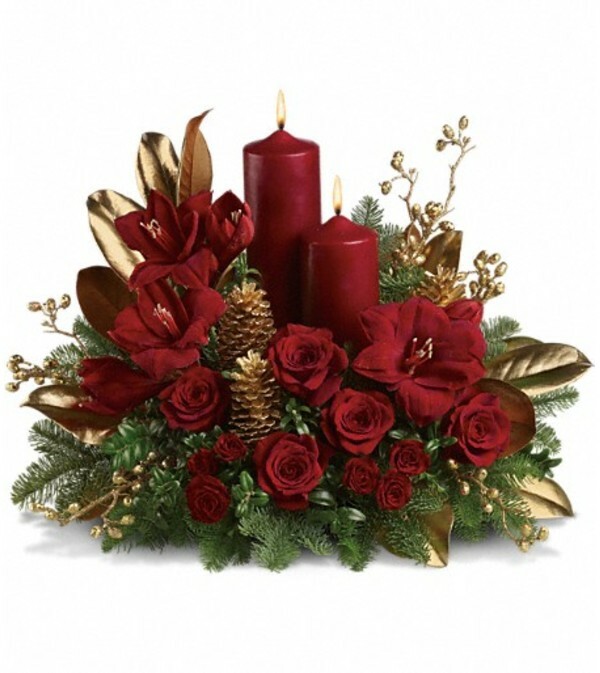 Two pillar candles in a stunning shade of pomegranate are the perfect touch to light up the night.